What’s Next for E-Commerce? #Infographic ~ Visualistan '+g+"
While consumer spending continues to increase, brick and mortar stores are seeing a decline in sales. So where is all the money going? Research has shown that consumers are doing most of their shopping on the internet. Online retailers are enjoying record sales. 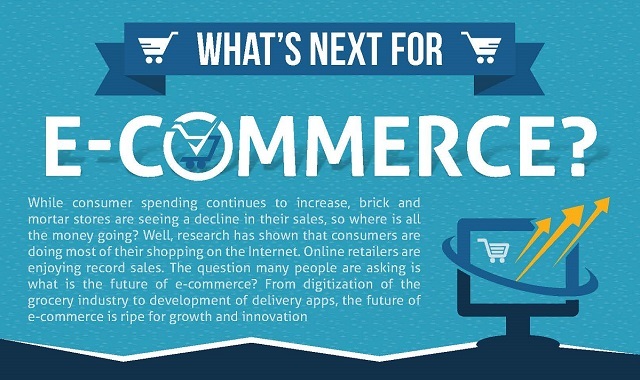 The question many people are asking is, what is the future of e-commerce? From digitization of the grocery industry to development of delivery apps, the future of e-commerce is ripe for growth and innovation. To learn more, check out the infographic below.